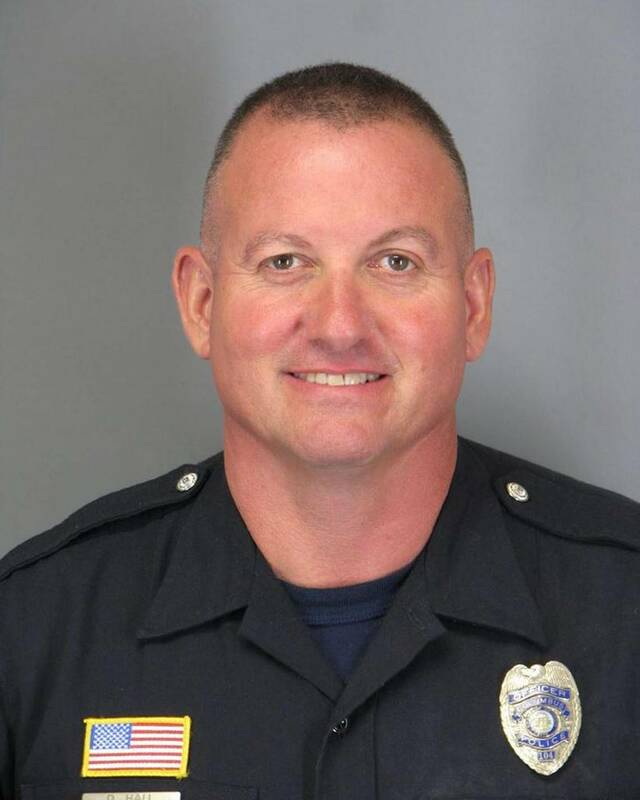 Retired Columbus Police Department officer David Hall was the pilot of the Columbus-based Metro Narcotics Task Force helicopter that crashed on November 16th, 2018 in the Coosa River, killing him and student pilot passenger Austin Jay Griswold. On November 16, 2018, about 1130 central standard time, a Bell OH-58C, N510CP, struck powerlines and came to rest in the Coosa River, near Clanton, Alabama. The helicopter was owned and operated by the Columbus Georgia Police Department. The commercial pilot and student pilot passenger were fatally injured. Visual meteorological conditions prevailed, and no flight plan was filed. The positioning flight was conducted under the provisions of Title 14 Code of Federal Regulations Part 91 and was destined for Chilton County Airport (02A), Clanton, Alabama. The flight departed Columbus Airport (CSG), Columbus, Georgia, about 1025 eastern standard time and stopped at Auburn University Regional Airport (AUO), Auburn, Alabama, to pick up the passenger before continuing to 02A. According to witness statements, the helicopter approached the river from the east and flew north over the river. It was flying low, made a left turn and then flew south over the river. One witness observed the helicopter "catch" the powerlines, turn and impact the water. Another witness lost sight of the helicopter before hearing an explosion. Both witnesses saw the helicopter in the water and noted that the powerlines were no longer there. At the accident site, the Coosa River was about 1,500 ft wide. The wreckage was located midway across the river, about 700 ft from shore, about 400 ft downstream from powerlines. The four-seat helicopter was manufactured in 1970. It was powered by a Rolls-Royce/Allison M250, 250-horsepower turboshaft engine. The pilot held a commercial pilot certificate with ratings for airplane single and multi-engine land, instrument airplane, rotorcraft-helicopter, and remote pilot. The pilot applied for BasicMed privileges on August 9, 2017. At that time, he reported 765 total flight hours. At 1135, the weather conditions reported at Merkel Field/Sylacauga Municipal Airport (SCD), about 20 miles north of the accident site included, wind from 290° at 6 knots; visibility 10 statute miles, sky clear, temperature 11° C, dew point 3° C; and an altimeter setting of 30.19 inches of mercury. Examination of the wreckage was pending its recovery from the river. Karen Griswold has a lot of stories she could tell about her younger son, Austin, the one who will be 22 forever. Asked for one Monday morning, before his funeral that afternoon at Columbus’ Wynnbrook Baptist Church, she chose one his barber told her. Austin always went to the same family barber in Phenix City, where he had a regular appointment. One day when he was there he met another Austin, a little boy around 4 or 5 years old. When they first met, the elder Austin said something to this effect: “Your name’s Austin? Cool! My name is Austin, too!” They bumped fists and talked, and from then on, the barber scheduled the boy’s appointment right after the young man’s, so they could give each other the fist-bump and chat. On Nov. 15, the barber finished big Austin’s hair before little Austin got there. That’s a shame, she said: He’d miss seeing the child. He paid for his haircut and got his change, and she walked to the back of the shop. When she came back, he was still there. She thought he had left. Did he need something? “I’m going to wait around a while, so I can see my little buddy,” he told her. When little Austin came in, they did the fist-bump, and talked, and then the elder Austin left. It was a good thing he waited, because they never saw each other again. 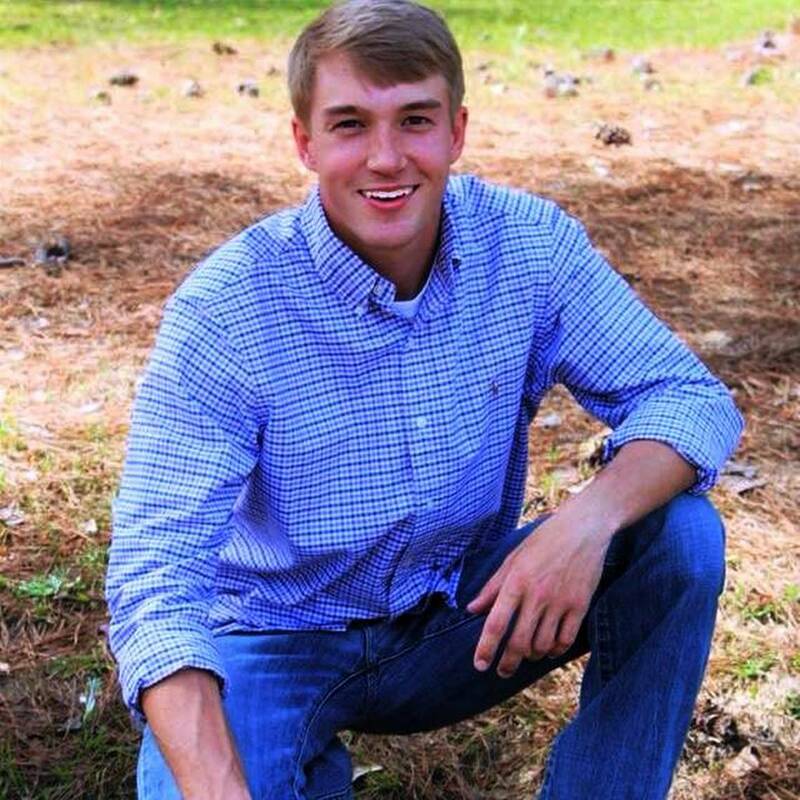 Austin Jay Griswold was killed the next day when the Columbus’ Metro Narcotics Task Force helicopter piloted by reserve police officer David Hall hit a power line over the Coosa River, and crashed into Lake Mitchell. Hall also died in the crash. The passenger was not supposed to be aboard the aircraft Hall was flying to Canton, Ala., for maintenance. Hall had picked Austin up in Auburn, Ala., to ride along. Though Hall was among those involved in Austin’s flight instruction – Austin had been obsessed with flying since he was a child, and never missed a chance to go – the ride-along was not for training. “He was not taking flight lessons,” his mother said. Funerals for the deceased are being held in Columbus this week. Hall’s is set for 2 p.m. Saturday at Wynnbrook Baptist Church, 500 River Knoll Way, with the Rev. Kevin Calhoun officiating. The family will receive friends at the church after the service, according to McMullen Funeral Home and Crematory, which also handled Austin’s service Monday. Karen Griswold likes the barber shop story because it illustrates how her son treated people, and his sense of responsibility. “He was a person who loved to please people, especially those who were closest to him,” the Rev. Grant Parker told more than 200 people gathered for Austin’s funeral. Born July 20, 1996, Austin graduated from Northside High School in 2014, and from Columbus Technical College in 2017, with an HVAC certificate. He worked at Integrated Supply Company in Columbus as a warehouse manager and driver. He also was a student at FlightWays in Columbus, working toward a private pilot’s license. “My son has been obsessed with flying since he was little,” his mother said Monday morning. Chris and Karen Griswold have an older son, Kyle, 26, and a younger daughter, Kristin, 18. Told to draw pictures when they were kids, Kyle drew a pet iguana; Kristin drew an abstract; Austin drew an airplane. A cousin speaking at the funeral said he once asked why Austin liked it so much. “There’s no feeling like being in the air,” Austin replied. Flying was not his only obsession: He loved the outdoors, particularly fishing, and he liked being tidy and organized. His car and his boat were never soiled, as he washed them constantly: “Those were his babies. They didn’t get dirty,” his mother said. He would wash other people’s cars, too, for free, his mother said, and he would do it perfectly, too, because he was so meticulous. “He was ahead on everything,” Karen Griswold said: He was seven months’ ahead on his car payments, and four months’ ahead on his boat. Because he loved Integrated Systems, he had made no other career plans. “He loved that place, and they loved him,” his mother said. The friend thought the box was just burn. He was wrong: “We ended up running and running with hundreds of bottle rockets flying at us,” he said. A music-backed montage of photos shown at the service often depicted Austin fishing, or holding fish he’d caught, or just sitting on his boat. A cousin told of calling Austin on occasion to see if they could hang out together. “Only if you want to go sit on the boat,” Austin replied. His ingenuity was remarkable: If he needed a tool he didn’t have or couldn’t get, he fashioned something that would do the job. “Austin might have hated school, but he was good with his hands,” the cousin said. His mother didn’t think Austin ever planned to work as a pilot, but he did intend, one day, to buy his own plane. His favorite one to fly was a 1970s single-engine aircraft with the wings set over the cockpit. She asked that he text her back when it was over, and he did: “I’m alive,” he messaged. The Sunday before he died, he flew two solo flights, taking off and landing. His parents watched. His performance looked perfect. The following Thursday, he saw his little barber shop buddy for the last time, and the next Friday he was gone, the week before Thanksgiving. “It will never be the same for us,” his mother said of the holiday. At the funeral, the Rev. Parker told everyone how Austin, the 22-year-old who had been in a hurry to go wash his car before dark, waited in the barber shop to see the little boy with the same name. “You behave for your Daddy,” Austin told the child. The bodies of two people from Columbus who died in a helicopter crash in Alabama’s Coosa River have been recovered, and the pilot’s identity has been released. The Columbus-based Metro Narcotics Task Force helicopter crashed around midday Friday after striking a power line in the Lake Mitchell portion of the Coosa River, in central Alabama’s Chilton County. “We are coming back from Alabama where the bodies have been removed from the helicopter after the crash on Friday. We’ve touched base with all family members now and this is the end of a long weekend,” Columbus Police Chief Ricky Boren said Sunday afternoon during a brief news conference at the Columbus Airport. Accompanying him at the airport were Muscogee County Sheriff Donna Tompkins, Russell County Sheriff Heath Taylor and Harris County Sheriff Mike Jolley. All four law enforcement officials are board members of the Metro Narcotics Task Force, which used the downed helicopter in their anti-drug operations. Boren identified the pilot of the aircraft as David Hall, 53, who retired in July after working 28 years with the Columbus Police Department. He was at the controls of the Bell OH-58 helicopter that went down in Lake Mitchell, just east of Interstate 65 and Clanton, Ala., and north of Montgomery, Ala.
Boren declined to say why the passenger was aboard the helicopter, which was being taken to a maintenance and repair company in Clanton and being swapped out with another Metro Narcotics Task Force aircraft that had already received maintenance. He said identification of the passenger will come later. “Every so many hours you have to have maintenance done on an aircraft, and this was just the routine maintenance it has to have on it,” Jolley said at the news conference. The National Transportation Safety Board and the Federal Aviation Administration, both agencies that were on the crash scene, will be investigating the accident and issuing findings in the future. “We believe that it struck a (power line) wire that went across the river, a low-hanging wire that was not marked at the time, and as the helicopter was apparently ascending over there from some area, it hit this wire and the helicopter went down in the river,” Boren said. Hall, a graduate of Jordan High School and Embry-Riddle Aeronautical University, began his career with the Columbus Police Department in 1990 and served for 28 years, which included a break for about two years in 2004. After retirement, he remained a pilot of the helicopter and other aircraft used by the Metro Narcotics Task Force. He also was a recruiter for the police department. Although the crash took place around midday Friday, the recovery operation that included the Chilton County Sheriff’s Department was not easy and extended into Saturday. It then was called off after dark Saturday due to treacherous conditions with the river’s current. The aircraft’s fuselage was located roughly 70 feet below the waterway’s surface. Columbus Mayor Teresa Tomlinson, after receiving word from Boren of the bodies’ retrieval from the helicopter, expressed “great sorrow” on her Facebook page at the loss of Hall and the death of his passenger. She said they will be missed by those who knew them. 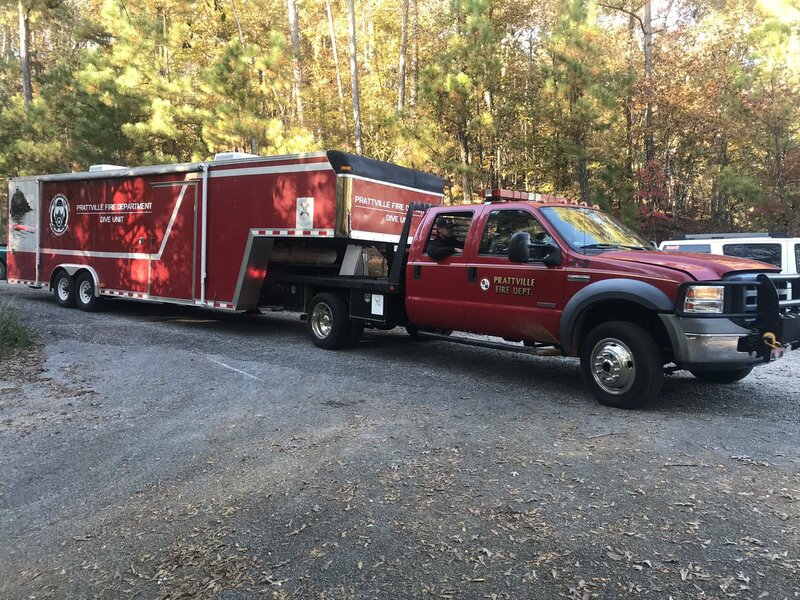 CHILTON COUNTY, Ala. — UPDATE 6:59 PM: A day after a helicopter crashed in a Chilton County lake, dive teams are forced to wait another day to make recovery efforts underneath the water easier. The biggest obstacle have been the water currents at Lake Mitchell, according to investigators. Chief Deputy CCSO Shane Mayfield told ABC 33/40 water flow must be gradually slowed down above two nearby dams over a 6-8 hour process. Alabama Power is working recovery teams to help make this happen. The wreckage of the helicopter is 70 feet below the surface of the water. 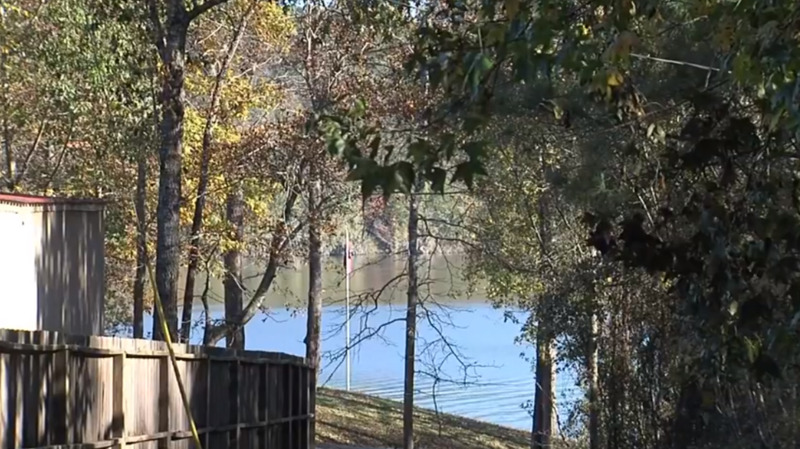 One man returned who lives on the lake says he returned home to the news from vacation. "Actually I didn’t even know about it until we drove down the little road that leads to the house and we saw all the cars, and blue lights flashing," says Doctor Charles Russell. Dr. Russell told ABC 33/40 he and his wife were in disbelief something like this could happen right beside their house. Dive teams will be back in the water at 8AM on Sunday. UPDATE: A police helicopter from Georgia crashed in Chilton County Friday. There are no known survivors. Officials believe a power line was involved in the crash, which ended in Lake Mitchell near Cargile Creek. The aircraft remained in the water Friday night as law enforcement officials briefed the media. They confirmed the helicopter was part of a metro narcotics task force, which included 5 agencies in Georgia and Alabama. The flight was a routine maintenance flight from Columbus Georgia to Clanton. The pilot is still believed to be in the water with the aircraft. He was a retired Columbus Georgia police officer who was brought back to the pilot. There may have been a second person on board. It is still unclear whether the pilot stopped in Auburn and picked up a passenger. Friday night, crews were able to locate the helicopter in the water, but they ran out of daylight. The diving team plans to go back into the water at 8:00 Saturday morning to continue recovery efforts. The FAA is investigating, but the National Transportation Safety Board will rule the probable cause of the accident. UPDATE: The helicopter has been located. Officials unsure how much can be done towards recovery before it's too dark. Chilton County Sheriff's Office says there is no signs of survivors following a helicopter crash in Verbena Friday afternoon. The helicopter, from Georgia, crashed in the area of Cargile Creek on Lake Mitchell. ALEA is assisting in the investigation. The FAA says the helicopter, a Bell OH-58, crashed around 1:15 p.m. Authorities ask for the public to stay away from County Roads 542 and 553 at this time. A helicopter belonging to the multi-agency Metro Narcotics Task Force based in Columbus crashed into the Coosa River in central Alabama after striking power lines Friday, authorities said. The narcotics task force includes Columbus and Phenix City police, and Russell County and Muscogee County sheriff’s investigators. Columbus Police Chief Ricky Boren and other law enforcement leaders overseeing the task force were on the scene. 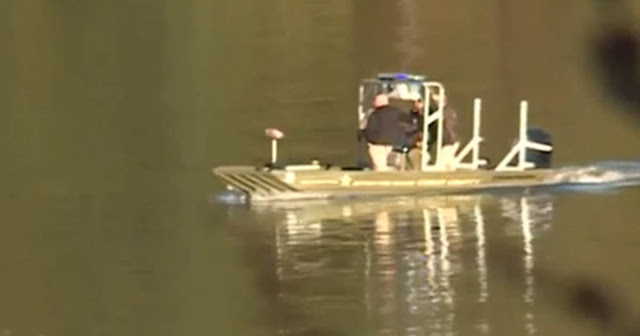 Boren said search and recovery efforts were underway, with divers trying to reach the submerged aircraft. According to Birmingham CBS affiliate WIAT, the crash occurred near Cargile Creek on Lake Mitchell outside Verbena, off Interstate 65 north of Montgomery. CHILTON COUNTY, AL (WSFA) - The wreckage of a Georgia law enforcement helicopter that crashed into the waters of Lake Mitchell in Verbena, located in Chilton County, was found Friday afternoon. Chilton County Sheriff’s Assistant Chief Deputy Shane Mayfield said that rescue crews were able to locate the helicopter in the lake, but they have been unable to recover it. The dive teams will resume their recovery efforts Saturday morning at 8 a.m. 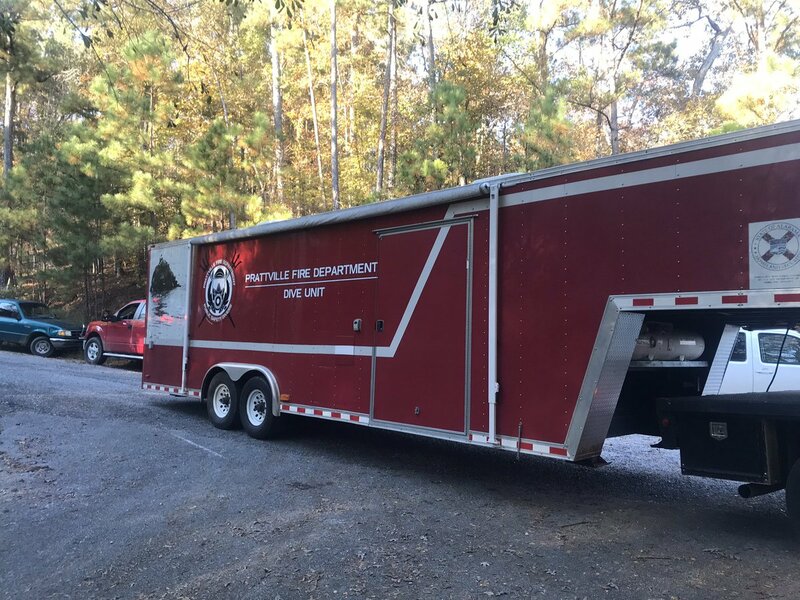 The crash site is in the area of Cargile Creek, located on Lake Mitchell, according to the Chilton County Sheriff’s Office. That’s about 50 miles north of Montgomery and 50 miles south of Birmingham near the geographical center of the state. The helicopter belonged to the Metro Narcotics Task force and was heading from Columbus, Georgia to Clanton, Alabama when the crash occurred. Sheriff Donna Tompkins of Muscogee County, Georgia. said the helicopter belongs to a multi-jurisdictional drug task force that includes Muscogee, Harris and Russell counties, as well as Columbus and Phenix City police. Russell County Sheriff Heath Taylor said the pilot, whose name hasn’t been released, is a retired Columbus Police Department officer who works for the department part time. Taylor said no one has been able to reach the pilot since the crash, which leads them to believe that he wasn’t able to escape. According to Taylor and Hayfield, there has been no sign of life since the crash. “It doesn’t look good. At this point, we haven’t found him, and we haven’t been able to contact him, so we believe that he is still in the water at this point and we’re doing our best to bring him home," Taylor said. 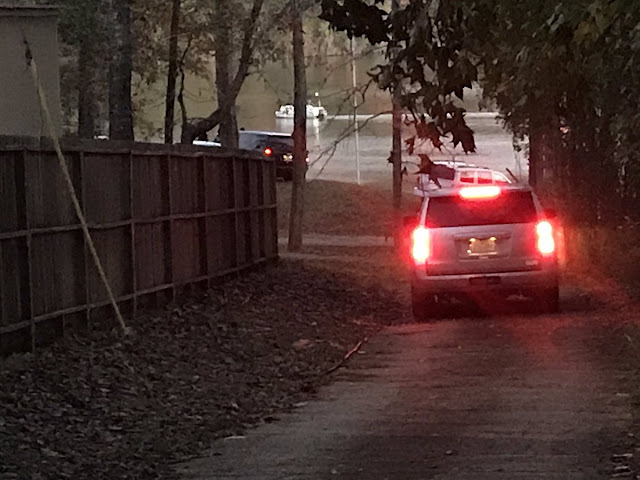 The helicopter was flying from Columbus to Clanton for a routine maintenance check when it supposedly struck a power line and crashed into the water. “There’s a (power) line that I think comes across the river here, and it’s down, so we’re thinking right now that’s what occurred," Taylor said. Taylor said there could have been more than one person in the helicopter at the time of the crash. According to Taylor, the pilot left Columbus early Friday morning, and after that it’s believed he stopped in Auburn. It’s there that Taylor worries the pilot picked up another person. “We’ve been told unofficially that he made a stop in Auburn. We’re trying to run that down and track that down and see if we can find out that whole side of it," Taylor said.